QuickBooks for Mac from Intuit is a financial accounting solution designed for accounting professionals and small businesses. Its features include invoicing, receipt scanning, payroll, income and expense tracking, an iOS mobile app, and more. In this article, we cover user reviews and pricing. Ready to try QuickBooks for Mac? Get a free trial. Users who gave QuickBooks for Mac a positive review said that it is easy to use and can be applied to any type of business. They also like that it allows them to access QuickBooks Online. Users who gave QuickBooks for Mac a negative review complained that they sometimes experience glitches. Others mentioned that its invoicing feature lacks customization capabilities. One user who gave QuickBooks for Mac a negative review on Software Advice said that its approval levels are too broad, adding that it could use further customization features so that his company can provide access to specific users. QuickBooks for Mac offers three plans, billed monthly: Simple Start ($20/month), Essentials ($35/month), and Plus ($60/month). The main differences between the plans include the number of built-in business reports and access to inventory tracking features. Ready to try QuickBooks for Mac? Get a free trial. 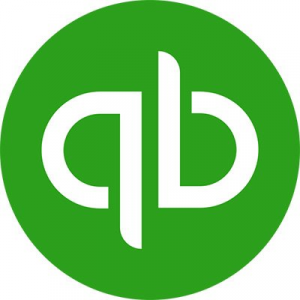 May I invite my accountant to use my QuickBooks for Mac account? Yes, you may. 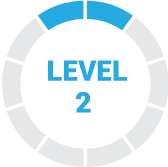 Users are allowed to invite up to two accounting professionals, such as your bookkeeper and accountant, to access your data. What does QuickBooks for Mac’s free trial include? QuickBooks for Mac offers a 30-day free trial for its three plans, which includes all of the paid features. Not sure if QuickBooks for Mac is the right fit for you? Read our reviews of all top accounting software providers or check out one of these three QuickBooks for Mac competitors. 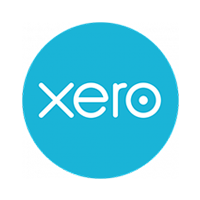 Simple yet powerful business accounting software on the Mac. With additional payroll module, it’s a powerhouse. Removed ability to do online invoicing/payments a few years ago and has yet to add it back. Also, QB for Mac 2019 doesn’t behave like other Mac apps with regards to respecting the Dock boundary – despite repeated talks with their support team. This should’ve been fixed years ago – but really only an issue on 13-inch MBPs. Been using it so long I can’t even remember. Rock solid and recently update top tier accounting software for the Mac. Powerful yet a simple user experience for virtually any business type. Removed online invoice payment a few years back – and has yet to add it back in. QuickBooks for Mac is a convenient product for users of QuickBooks Online. It gives users the “desktop experience” in a lightweight application on your Mac. QuickBooks Online isn’t as robust as the full desktop version but is easier to use and provides most of the features that small businesses need. Although the QuickBooks for Mac product is convenient, its execution leaves something to be desired. It has a lot of bugs and pretty much became unusable for a time. They have improved the product significantly in the last six months but there is still a long way to go. The lack of stability has left me opting to use the web-based version on many occasions. QuickBooks is certainly the leading name in the bookkeeping industry. I wish I had a better understanding of the limitations of QuickBooks Online as a whole having been familiar with the features of the full desktop application.